I pay taxes. It’s not my favorite thing to do, but I’ve come to grips with it. Paying taxes is just part of American life. Fortunately, the U.S. tax code has many rules that allow rental property owners to save money and reduce their taxes. Owning property is a huge part of the American dream, and at times it seems the IRS is trying to reward such behavior. In this article, I review the best federal tax deductions available to rental property owners in the United States. With that said, I am not a tax professional, attorney, or CPA. Rather, I’m an experienced landlord who simply wants to build wealth and use every tax benefit that the government allows. There are two types of expenses: current expenses and capital expenses. These are generally one-off items that help keep the property in good working condition and habitable, or help you operate your rental business. The entire expense can be deducted from your taxes in the same year that it was incurred, hence “current” expenses. Repairs are generally expected to restore an item to its previous working condition. Ordinary expenses are those that are common and generally accepted in the business. Necessary expenses are those that are deemed appropriate, such as interest, taxes, advertising, maintenance, utilities and insurance. Must have more short-term value than long-term value. Fixing a hot water heater has short-term value. Replacing the appliance has long-term value. The expense must be business related. If you claim to have paid $500 for a toilet seat, you will get audited. Anything that increases the value of the property or extends its life is categorized as a “capital expense” or “improvement” and must be capitalized and depreciated over multiple years. My general rule of thumb is any item that costs hundreds of dollars (or more) to replace should probably be deducted as a capital expense. For a more detailed explanation and specific examples of each, read the article: Repairs vs. Improvements – What Can I Deduct from my Taxes? Before claiming any of these deductions, be sure to have detailed and thorough records to back them up. I recommend tracking your expenses as you make them. Trust me, your tax prep will be much more manageable if you’re organized throughout the year. Cozy lets you track your expenses and categorize them as the IRS does, and even lets you take pictures of your receipts and attach them to each expense. Cozy even provides a simple expense summary report that matches the required fields on your IRS 1040 Schedule E.
The IRS scrutinizes these deductions (some more than others), and you need to be prepared should you get audited. If you fail to have proper receipts and cannot validate the business necessity of each expense, you will have to pay the amount due, with interest, if you get audited. If there is a mortgage on the property, the loan interest will probably be your single largest deductible expense. In 2013, I paid $19,000 in interest on one of my mortgages. Further, if you paid buy-down points on the property purchase or mortgage refinance, you’ll be able to deduct those as well. Keep in mind, you can only deduct interest on money that was actually spent on your rental business. Therefore, you wouldn’t be able to deduct the interest of a withdrawn line of credit that is sitting in your bank account. The value of improvements – such as appliances, carpet, windows, countertops, etc. These expenses cannot be deducted in a single year, but rather must be spread out (depreciated) over multiple years. Otherwise, people would abuse the system by claiming $100K in repairs in a single year to remove all tax liability, and then sell the property the next year to recoup their renovation ROI. Often the real estate taxes are paid through the mortgage company, and therefore show up on the Form 1098 that is sent from the bank. In a previous article, Sh*t Always Breaks, I discuss paying for the repairs and improvements using a separate emergency fund for each property. Repairs are defined as any effort to maintain the current condition of a property or asset. You can also hire a pest company to treat the property every few months to prevent further infestations, even if the original pests are long gone. Tune-ups on Lawn Mowers, Chain Saws, Leaf Blowers, etc. I have an Umbrella Policy which covers my personal assets and legal liability above and beyond the coverage on my rental properties. Because of the added risk involved with one of my less-polished properties, I decided to purchase this additional coverage. I would not have purchased this policy otherwise, and therefore I can classify it, in good conscience, as a business expense. You can deduct the cost of any rental property utilities that you pay for. You are still allowed to claim utility expenses even if the tenants reimburse you later, but you also have to claim that reimbursement as income. According to a recent survey by Cozy, 50 percent of American Landlords do not live near their properties. Any long distance travel to visit your assets or to conduct rental business can be tax-deductible as a business expense. When expensing business vehicles, the actual asset must be depreciated over multiple years, however the upkeep can be deducted in the year the expense was incurred. You have the option of deducting actual expenses, or utilizing a standard mileage rate of 56.5 cents per business mile driven (as of 2013). Even the best landlords need help from time to time. If you hire a property manager, or even an on-site manager, you are allowed to deduct that expense. Note: You should try Cozy property management software. It’s free, and can automate some of the most time-consuming elements of running a rental business: tenant screening and collecting rent. If you need to hire a pro, be it a lawyer, accountant or tax professional, you can expense the cost. If you ever have to evict a tenant, you can expense all reasonable court and filing fees. You have to work somewhere. My office is in our spare bedroom. Some landlords actually rent commercial office space. A home office deduction is one of the most commonly flagged deductions by the IRS – and for good reason. Many business owners abuse this deduction, but it should be utilized if you conduct business in your home. Keep great records for the time you spent using that space for business and logically subtract any personal usage. Personally, I don’t expense the square footage of my home office. In my opinion, it’s not worth the headache. If you are still using printed rental ads, STOP! Between Craigslist and Postlets, you’ll cast a wider net than any newspaper ad. Occasionally, I will offer a $50 incentive to my current tenants if they find a replacement tenant upon their departure. The maximum allowable deduction for start-up expenses in the first year is $5000. According to the IRS, if you or your spouse actively participated in a passive rental real estate activity, you may be able to deduct up to $25,000 of loss from the activity from your nonpassive income. For Example: Lets pretend, you had $60,000 in depreciation and expenses for a given property in a single year, however that property only generated $20,000 in rental income. This leaves you with a $40,000 loss (ouch!). You can claim $25,000 of losses that year, but then you are allowed to “recapture” the other $15,000 in losses against your income the next year. If you continue to have losses beyond $25,000 year after year, you can recapture the sum of the unused losses against the gains when you sell the property. You can do your own taxes! If you are feeling adventurous, I challenge you to prepare and file your own federal taxes this year. It’s really not that hard when you have the right tools. IRS Website – To research the tax law. They also have a great customer service phone number. 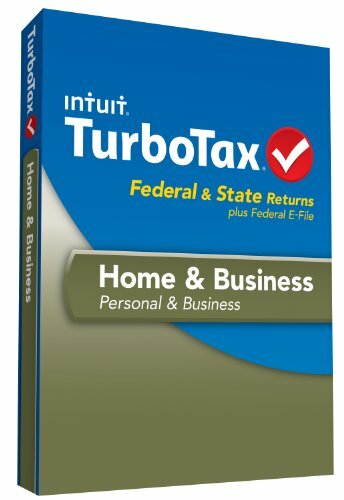 TurboTax Home and Business – to prepare (and e-file) my Federal and State taxes and all required forms. If the idea of organizing receipts gives you the chills, then you should either further educate yourself on filing your own taxes, or consult a licensed tax attorney, CPA, or tax professional in your state. If you unsure about your tax situation, you should check the IRS website which is an amazing resource chock-full of useful information or call the IRS’s Free Tax Hotline at (800) 829-1040. Your state bar association will likely have a lawyer referral program to help match you with an attorney. The AAA-CPA can refer you to an attorney-certified public accountant in your city. H&R Block, Jackson Hewitt, and Liberty Tax Services are the nationwide tax chains, but even TurboTax is offering full-service tax preparation now-a-days. Both of your tax posts are very timely and great detail. Your information aligns with the information I have seen in nolo (but easier to digest!) and also my accountant has shared with me on Federal and North Carolina tax laws. Awesome post! Thanks again Walter! I’m all about getting every tax deduction possible! For lawn mowing maintenance, if I mow the rental property as a landlord is this tax deductible, or is it only tax deductible if I hire someone to maintain the lawn? Your time would not be tax deductible unless that was your trade (i.e. you had a landscaping service), but the cost for fuel/electricity would certainly be an expense. Also, any maintenance on the equipment (or new equipment) would be an expense too. The question I always ask myself is “Would I have this expense if I didn’t have the rental?”. If the answer is no, then it’s an expense. If I live in one room and rent the rest out, do I still qualify as a landlord legally? Do all of the above still apply? If you charge rent, then you are renting out a space, and are therefore a landlord. You can depreciate the square footage and % of expenses that pertain to the rented space of the property, or just figure out an appropriate % to divide everything by. Does that make sense? It sure does, thanks for the response. I have a few other questions. 1) Let’s say the all of the windows in a house won’t fully shut or are showing condensation. Replacement of all the windows would still be considered an improvement, right? Or could it be argued that the windows were brocken and thus the replacement is a repair? 2) Let’s say I’m buying a house with an unfinished attic that I plan to finish and rent as a bedroom. Can the costs of finishing the attic be considered start up expenses? *I think* that replacing one window because it broke completely is a repair. Replacing multiple windows (or even a single window) because they have outlived their useful life, and are no longer shutting correctly, is an improvement. It’s really a judgement call on your part as to how many windows count as a repair vs. improvement, and you have to be able to validate it to an IRS auditor. I think that finishing an attic, if it’s sole use is a rental unit, could be considered a startup cost. But again, every situation is different, so please consult with a tax attorney or CPA. Good to know. Thanks for all the info – great article! Lucas your articlenis great. I bought a house as primary residence in Jan end, but cannot occupy it until July as I bought house with tenant in place. 1) Do i need to pay tax on rental income? 2) out my mortgage payment I am paying principle, interest, rear estate tax and home owners insurance. What are all components are tax deductible ? 3) after tenant leaves I am planning to paint house, renovate kitchen and make few repairs and move in to the house. Are these expenses tax deductible? As a landlord for 10 years, here are my answers, but please know that I am not a tax attorney or CPA. You would be wise to get tax help from a professional. 1. You always need to pay tax on rental income. It’s income. But the good news is that it’s easily accounted for on a Schedule E form, attached to your regular IRS 1040. The Schedule E will take into account all the other aspects of the property which will lower your taxable amount. 2. Usually just taxes, insurance, and interest. Principle is not tax deductible. All three of these are listed in the article above. 3. Once the property is no longer a rental, you can’t deduct any of those repair or painting expenses. If you are getting it ready to occupy as your primary residence, then it is no longer a business, and therefore it wouldn’t have deductions as a rental. There are other deductions for home ownership, but they wouldn’t go on the Schedule E.
Lucas thanks for your response. But my property is rented for last 3 to 4 years and these repairs are due to this rental. After the end of the lease, can I not show these repairs as earlier rental repairs? That seems logical but *I think* that the expenses need occur while it is still a rental (a business) in order to be deductible. It doesn’t matter when the damage was done but rather when you paid to fix it. Just like if a pipe busts on Dec 31 2014, but you don’t hire a plumber until Jan 2, 2015, the expense would go on 2015 taxes, not 2014. With that said, there’s nothing to stop you from setting the conversion date a few weeks after the tenant moves out. However, as soon as you claim it as your primary residence, it ceases to be a business. That’s my understanding as a fellow landlord. Thanks Lucas. If not maintenance expense, can I deduct deprectation of the house in tax returns ? Meaning, if I get rent of $10,000 and can I show depreciation of $10,000 on the house at the time of filing tax returns? Rental income doesn’t affect depreciation that way. They are conflicting forces, and it’s not a 1:1 ratio. I suggest getting a copy of “TurboTax Home and Business”, or hiring a CPA to help you complete the forms correctly. I have rental properties, but I am not a broker. I file Schedule E for the properties on my tax return. Can I deduct the cost of a computer that I purchased and how? The computer will likely be a business expense, which might be filed on your Schedule C. Since you likely use it for other things besides property management, you probably can deduct the whole expense, but rather a portion. Further, since it’s something that is used over a long period of time, you would depreciate it, not expense the whole thing in the first year. Lucas, great article. Thanks. Keep it up. I start managing a multi-unit rental property. To attract renters, I provide a move-in incentive to the tenants. or I take the rent for 1st month and issue a rebate of the same amount in $ to the tenant. 1) Can I deduct move-in incentive? 2) Is there a limit for deducting move-in incentive? 3) Which way is better in terms of tax? That’s a tough one. I’m not a tax attorney, nor do I claim to be a expert on taxes. I’ve just had to learn this stuff over the years. Here’s my opinion, but definitely check with a professional. I doubt that you would be able to deduct a move-in incentive when waiving the first payment, because it’s not really an expense. You’ll really just waiving the rent payment. You are just opting to accept less rent. The IRS just really cares about how your income vs expenses. A “waived first month” is just a contractual commitment that you are making to accept less money, which will be reflected in your reported income. If you collect the first payment, and then issue a rebate/refund to the tenant later on – it would just cancel out the original rent. From a tax perspective (ignoring your entire financial situation), it would reduce your taxable income, and would be like you never collected the money at all. It might be possible to write it off as a marketing expense, but you might have to change your method a bit. Expenses are typically outgoing payments, and if you just waive the 1st fee, you really aren’t paying anything. To get around this, I’ve seen apartment buildings collect first month’s rent, and then give a tenant a $500, or a $1,000 Visa gift card as a move-in incentive. By doing so, the apartment can show a legitimate receipt for purchasing the gift card, and the tenant feels like they are getting some extra “spending cash” which mentally is more favorable than skipping a rent payment. Plus, it keeps the finances a lot cleaner. The IRS will understand a receipt for a gift card must easier than a refund on rent. The IRS loves tangible expenses and service, and has difficulty with abstract trades. Does that make sense? Like I said, I’m just a landlord, and not a tax professional, so this is NOT legal advice. Lucas- Great insight. Purchased a house as my primary residence in 2010. During subsequent 2 years I contracted the basement to be completed and had a large deck with cement landings to replace the cement patio foursquare. In 2014, my company decided to move me to another state. The decision was made to rent the house starting Aug 2014. Can I pick up the depreciation value of the basement and deck/cement landings in the year 3 and 4 respectively of the depreciation value? Thoughts? Thanks in advance. And any wisdom you might add regarding the conversion to/from a rental property to a personal residence. I expect to retire in that home in the future. That’s a better question for a tax professional. My best guess would be that you would start depreciation from the year that it first started renting it (2014). I don’t believe you can start the schedule in year 3 without having completed year 1 and 2, otherwise it becomes a 25 year depreciation schedule rather than a 27 year schedule. Again, thats my best guess. I’m not a lawyer, so I’d suggest either taking it safe and starting in year 1, or talking to a tax professional. Personally, I have a separate category for management fees. If you use a tool like TurboTax, they will separate out the management fees too. As for application fee income, I just group that with other misc income – and it’s grouped together with late fee income and the such. About property depreciation…….the IRS requires you to depreciate the property. It’s not an option. Remember, I can’t deduct my loss. So depreciating the property has little benefit for me. However, when I sell the property, I will be FORCED to recapture the depreciation I was FORCED to take BUT DID NOT benefit from. That makes rental property a serious PAIN with little benefit. Thanks for chiming in. You’re right about the depreciation being required. Thanks for pointing that out. As for the losses, I’ve always operated with the understanding that most people can take up to $25K in losses in a single year. If you have losses over that, you can reclaim the excess when you sell the property. My understanding is that the $25000 loss can be applied to other passive income streams. If you are a real estate professional, then the loss is unlimited to any income stream. As for the losses, you carry those forward if you can not claim them, including depreciation. Now when you sell the property, you apply that loss carried forward against the depreciated amount. So if the house was depreciated $100k and you carried all that loss forward, you would basically nullify the depreciation recapture. That’s exactly my understanding as well. Nice summary. Great questions and most of all great responds. I have one rental property. I use my Home Depot charge card for large replacement purchases i.e… Stove, Gutters. What’s the best way to write off the expenses using a charge card? The type of payment is not relevant. It only matters when the transaction occurred and what it was for. Large appliances are generally depreciated. You have to analyze why you are making the purchase to decide if it is an expense vs a depreciable item. It doesn’t matter that you put it on a loan to pay back later, although you might be able to deduct the interest. I am retired, receive a pension, receive Social Security and own a 4 unit apartment building which is my primary income. When using Turbo Tax am I considered a “Real Estate Professional”? 3) you must materially participate in each rental real estate activity unless you filed an election to group all rental real estate activities as one (and materially participate in that activity). A “real property trade or business” means any real property development, redevelopment, construction, reconstruction, acquisition, conversion, or rental operation, management, leasing, or brokerage trade or business. Personal services performed as an employee are not treated as being performed in a real property trade or business unless you are a more than 5% owner of the trade or business. For joint return purposes, the eligibility requirements are considered met if either you or your spouse separately satisfy the requirements. I have a question related to timing of repairs. I had a rental for several years and the tenant moved out 30June. Damages to the property exceeded the security deposit. (I fired the rental management company). To save money I traveled to the property after the move-out and did some repairs myself (or contracted it) such as carpet cleaning, painting, etc to get the property back to move-in condition. There are more repairs necessary that I simply did not have the money to do (like refinish all the hard wood floors). I decided not to re-rent the property . Based on another response you’re saying I can move the rental end-date to the right a few weeks to cover the dates of the repairs that I did? It wasn’t livable the condition it was left in so its truly not reasonable to believe it went from rental to residence over night. If you wouldn’t mind commenting and letting me know if I understood you correctly. Thank you! The date you take it out of service is different from a vacancy. You can have vacancy and the property is still considered a business, and therefore the expenses can offset your taxes. In my non-legal opinion, if you performed those repairs with the intention of re-renting it, then they would count as expenses that you could deduct. The date that you took the property out of service is the date that you decided not to re-rent it anymore. Any repairs that you made after that point would not be deductible. Further, if you knew it was never going to be a rental again when the tenant vacated it, then the end date would be the last day of the tenancy. This is a tricky topic, because as you can imagine that lots of people would try to skew the service end date to pay for upgrades in an effort to sell the house. Anyway, that’s just my two cents – please please please check with an accountant. I’m not a lawyer, nor is this legal advice. It’s just my best guess. I purchased a house at a tax auction in august of 2014. I’m fixing it up and plan to rent it out. Can i write off all the money i put into it for the year 2014 even though i haven’t rented it out yet? If so where does this go? Those would be considered Startup Expenses and you’re allowed to take up to $5k the first year. See #15 above. I’ve never claimed any startup expenses for a rental but I believe you would do it on line 19 of the schedule E, “other expenses”. I hope that helps. Remember, I’m not an attorney nor a tax expert. Please do not take this as legal advice. One of my rentals is having some plumbing problems. If I gave a rebate or discount for the tenant this month for the inconvenience that it has caused can I write the amount that I charged less as a loss on my taxes? We’ll, if you’re using the cash accounting method, there’s no ‘loss’. You just didn’t have as much income. Instead of reporting $15,000 in income for the property, you would only report 14,700. You basically gave your tenant a credit, right? Does that make sense? Remember, I’m not an attorney nor a tax expert. Please do not take this as legal advice. Hi, I learned much from your article and replies; but did not see my situation discussed. I have 10 apartment units; currently I have one unit utilized as a model/office by my Property Manager. Of course, I deduct the utilities and internet utilized for the office but would like to know if I can deduct an “office” equivalent rent for the unit since it is not leased as an apartment. It would be an office rent expense if I was paying this rent to another property owner. Thank you for sharing your valuable knowledgeable experience. I’m not really sure. You can’t claim the “rental income” that you are missing out on because the space is an office, nor can you claim the “rent” that you would have paid if you rented that space from another property owner – simply because you didn’t actually pay any money. The IRS doesn’t care about “would-haves or should-haves”. They really only care about what actually happened. You didn’t actually pay rent to someone else, so you can’t claim that. You also didn’t receive any rent for it, so you can’t claim that. See what I mean? I would imagine that you could count that as part of your office space, and deduct the mortgage interest for it (as with the rest of the building), since it’s being used for the rental business. My guess is that the space is just part of your cost of doing business, and plays a small role in the overall gain or loss of the property. My suggestion would be to use TurboTax Home and Business or ask a CPA. Good Luck, please know that I’m not a lawyer, or CPA, and this is not legal or tax advice. If I were in your situation, I would file it under (2) appliances, carpet, furniture, etc.. A Hot tub is not real estate, nor is it a land improvement. Because the tub, pool table, TV, and other similar assets are being purchased for the purpose of providing a furnished dwelling, then you can write them all off as improvements – most likely under a 5 year depreciation schedule. They wouldn’t be “repairs” because you’re not really fixing anything – and therefore are not expenses that you can deduct all at once. Anyway, like I said, if I were you, I’d treat it all like furniture, and depreciate it over 5 years. But, you should do whatever your CPA thinks is best for your situation. Remember, I’m not a lawyer, nor is this legal advice. Good luck over the next two days! I’m sure you’ll be fine. Thanks for the help. Is it advantageous to take the one time bonus depreciation this year? My understanding is that I should take it now. I can’t really answer that question for you. You’d have to consult with a CPA. It can be advantageous under the right circumstances, but also depending on your total situation, it might have a negative effect. at times several thousands of dollars, could I write off the expense? Much like a car, I would imagine that you would have to use the dog 100% for business in order to claim 100% of the expenses. If the dog only worked or was in training for 5 days a month, then you could only claim 16% (5/30ths) of the expenses. The rest of the time, the dog would simply just be a dog, right? That’s my best guess as to how the IRS would view it, but please know that I’m not a tax expert, CPA, or lawyer. I own a rental property now in a foreign country. Can I deduct my travel expenses to that country to take care of new tenant move in? Can I deduct the travel expenses to do a routine check of the property? I’m not really sure. That would be a great question for a tax advisor. If you find out, please let me know. My tenant moved out in January, I have been trying to sell the single family home ever since. Can I claim utilities and lawn care on my taxes? No one has lived there since the tenant moved out. For sure! It’s a business expense, as long as you are not living there. A bakery still has business expenses even if no one comes in an buys the goods. Again, please don’t take this as legal advice. I am relocating and plan on renting my house while i go away. I am hoping to charge more than my mortgage payment (which includes principle, mortgage interest, homeowner’s…). How do I calculate my tax obligation? Example: mortgage payment = $1,000 ($200 for principle, $600 for interest and $200 for homeowners) and i collect $2,000 in rent. Also, considering that i have never done this before, how do i determine my write-off-ables? Your site is a wealth of important information, but for the common man. Thank you for sharing with the rest of us! Which taxes are you talking about? You have to pay property tax to your county, which is probably included in your mortgage payment (but you should double check). If not, your county website probably has an online database where you can look up your property tax bill. If you are talking about your income tax liability for your income, you’ll won’t know for sure until you do it once. Your rental property will be documented on the Schedule E of your 1040. It’s your income minus deductions, taxed at your tax rate. After the first year, you’ll have a better idea of what to expect. Your “write-offables” are the deductions that are mentioned in this article – plus others that you might qualify for. A word of advice: I think you’re thinking about this too hard. Just check Craigslist for compatible units, and try to get AS MUCH rent as you can. Your tax liability estimate is irrelevant if you can’t actually get that amount of income. Just wait and see what someone will actually pay for it. Clean up the unit/house to showroom condition, and then price it high (after viewing comparisons). Spend the time/energy to take great photos and create a really great ad. If no one bites, lower the price a little, and continue doing so until you find a qualified tenant. I suggest keeping the deposit and the income from the property in their own bank accounts. You’l have repairs to make eventually, and if you don’t commingle the money with your personal funds, you’ll ensure the money is there. Plus, have a separate account will help you if you ever get audited by the IRS. When it’s finally time to do your taxes, I suggest buying TurboTax Home and Business, or hiring an attorney. I use TurboTax, and it ensures that I claim all possible deductions. Congrats on the high rental rate! That’s awesome. Please know that I’m not a tax advisor, nor a lawyer, and you should really talk to professional. But it’s my understanding that you can’t deduct previous expenses prior to actually converting it to a rental. So a water system that you installed years ago for your own personal use would not be applicable. However, the future cost of operating it could be deductible. For example, if you have to buy replacement filters, you could deduct those. Your phone bill could be deductible if you used it for your rental business – but only to the extent that you used it solely for business. For example, if you use the same phone, 20% for your rental business and 80% for personal use, then you could only deduct 20% of the cell phone bill. Make sense? You will need to report any and all income that you generate from the property – not just the profit – but rather the entire income ($1,700). After you deduct the mortgage insurance, depreciation, and other expenses, you probably won’t have to pay much. My suggestion would be to have a professional tax advisor do your taxes, or buy TurboTax to do them yourselves. Again, I hope that helps. Please know that I’m not a lawyer, nor is this legal advice. Thanks Lucas! Great info:) I will def get with my CPA, just wanted to get a head start:) thanks again!!! Great site; excellent, easy-to-understand info; thank you. potential renters. Are the discounts — the difference between usual rents and actual rents — deductible, and if so, how? Great question – but unfortunately above my expertise. I would imagine that you would simply document less income, but still have the same amount of expenses – therefore, you would probably take a loss – and get the tax benefits of that. But please talk to your accountant or tax professional to be sure. I have a rental property in a bad area and it is pretty hard to rent it out. So I provide a moving incentive of $1000 to any renters who would sign a 2-year contract with me. Can I tax deduct the moving incentive $1000 as rental expenses in my 1040? Thanks for your advice. You can deduct marketing costs. If you actually give them a check for $1000, then it would be an expense. If you simply reduce or waive their rent, then it’s simply a reduction in your income. I hope that helps. It’s only generally advice, as I’m not a lawyer or tax advisor. The tenants moved out 18 months ago, which is previous income year and a new tenant move in. I want to delay the arrival of new tenant as the house needed painting due to deliberate damage caused by previous tenant, but the new tenant needed to move in immediately and agreed to move in despite the need for repainting. The tenants moved out on this year May and I decided to move back into the house, can I still claim for the expenses if I repainted the house? It’s my understanding that if the house is no longer a rental property, and is your primary residence for the majority of the year, you can’t claim any rental expenses during the time while it is not a business – simply because it’s not business. You can’t claim expenses on a primary residence. The IRS really only cares about the dates of expenses, not what caused them – and the status of the property at the time being. It’s one thing to crash at the property for a few weeks while you oversee major renovations, but it’s a completely different story to use it as your primary residence and try to claim business expenses. Sounds like an immediate “red flag” to me. But please, talk to a tax professional – which I am not. if i buy first house then i rent it out. But i am paying rent for other house. so i am getting rental $1000 per month but i am paying $2000 rent per month. Do i need to pay taxes ? can i consider my rent amount also tax deductible in this cause ? I think you’re overthinking it. Any rent that you pay to someone else is not tax deductible if that’s your primary residence (not a business expense). That’s just the cost of living. If you get $1000 a month in rental income, you need to disclose that on your taxes as income. Any repairs or expenses you have related to your rental property/business can be deducted from the income – but it’s completely unrelated to the rent you might pay somewhere else. Does that make sense? Please talk to a tax specialize to clarify, because i’m not an attorney or tax advisor. I’m just an experienced landlord, trying to help.